Charged with Driving on a Suspended License in Burbank? Step One is to decide the time has come to resolve it, once & for all. While license suspensions tend to begin as small problems, compounded over time, a careful legal analysis and strategic follow-through, will generally lead down the pathway toward solutions. Thus, the process to reinstating your driver's license likely starts with a thorough analysis of your driving history, court records, and current case(s) by an experienced lawyer. George Kita has helped many clients resolve suspended license cases, emphasizing comprehensive planning & global resolutions. While there are many complexities in solving a license suspension with DMV and court, Mr. Kita carefully develops a step-by-step plan, and takes action towards productive solutions tailored to each client's case. Don't take a chance with your future! Call Burbank Suspended License Attorney George Kita to find out how you can resolve your driver's license situation and get back on track! Call 818-536-3630, to explore available solutions, today! Whether you have already been charged with Driving on a Suspended License, or are about to have your license suspended, you need representation from the attorney with the experience and know-how to develop solutions. 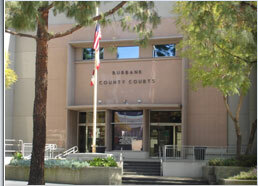 Burbank Suspended License Attorney George Kita can evaluate possible options to reinstate your license, and may determine ways to prevent your license from being suspended in the first place. He understands the importance of a valid driver’s license, and works hard to determine the best solutions for his clients. Mr. Kita is extremely knowledgeable about Driver's Licenses and DMV issues. He can review your case, & answer questions you may have. Suspended license? Contact Mr. Kita, today, at 818-536-3630! *Suspended License outcomes are specific for each client, based on unique details of each case.